2019 INFINITI Q70 vs 2019 INFINITI Q60 | What's the Difference? You Are Here: Home > 2019 INFINITI Q70 vs 2019 INFINITI Q60 | What’s the Difference? 2019 INFINITI Q70 vs 2019 INFINITI Q60 | What’s the Difference? From the outside, the 2019 INFINITI Q70 and INFINITI Q60 are both stylish luxury cars with refined cabins and powerful engines. The Q70 is one of the biggest four-door luxury sedans out there, catering to the head- and legroom needs of your family’s tall genes. The Q60 is a sporty coupe, and its two-door design offers a sleek, envy-inducing way to get to work. Wondering how to choose between the Q70 and Q60? Our comparison guide is here to help. We’ll provide the info you need to better understand the strengths of both models and which one is best for your particular daily drive. Both INFINITI models were designed with world-class speed in mind. The INFINITI Q70 is all about strong acceleration with a base 3.7-liter V6 and an optional 5.6-liter V8 engine. The V6 engine provides 330 horsepower and 270 pound-feet of torque for a true luxury-car experience. The optional V8 is even more powerful, providing blazing speed with 420 horses and 417 pound-feet of torque. Over in the Q60 coupe, you’ll also find two engine options. The first is a turbocharged 3.0-liter V6 that kicks up dust with 300 horsepower and 295 pound-feet of torque. The second is a 3.0-liter V6 that maxes out at 400 horsepower and 350 pound-feet of torque, perfect for drivers who want to leave the competition behind. All-wheel drive is optional on both the Q70 and Q60, providing extra traction when road conditions are less than ideal. When it comes to interior refinement, it’s actually hard to choose between the INFINITI Q70 and Q60. Both are perfectly tuned to deliver a smooth performance, even on rocky roads. The INFINITI cabins provide plenty to write home about, including power-adjustable heated front seats and soft leather upholstery. When you add a sunroof to your INFINITI, the cabin feels light and open. Items like dual-zone automatic climate control provide extra comfort when the ride gets long. Really the only difference between the Q70 and Q60 is space. Since the Q70 is a big sedan, it’s got room for a growing family. If you don’t need quite as much legroom in the backseat, though, the Q60 coupe will speak to your need for sporty style. Both the INFINITI Q70 and Q60 are all about speed and interior luxury, but they also add an element of high-tech safety. Both cars offer front and rear automatic emergency braking, which can help you avoid both an accident in traffic and while parallel parking. The lane departure intervention technology can sense when you’ve accidentally gone astray and gently guide you back on the right track. Both INFINITI cars offer a top-down parking system to keep you from scratching your paint job as you ease into a tight spot. 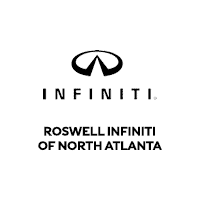 To test-drive both the 2019 INFINITI Q70 and Q60, visit us at Roswell INFINITI. Our friendly staff makes your satisfaction our priority, so feel free to bring any questions or concerns that linger. We’ll help you choose the powertrain, trim model, and INFINITI that speaks to your daily drive.